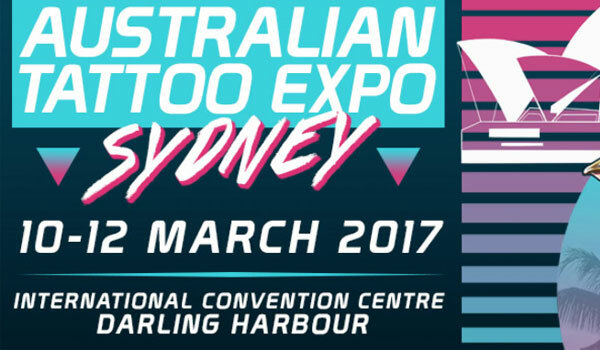 The Australian Tattoo Expo Arrives to Sydney Next Week! 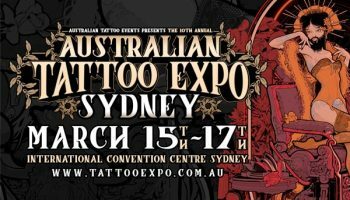 – Spotlight Report "The Best Entertainment Website in Oz"
The Australian Tattoo Expo returns with no sign of slowing down! The expo will hit the shores of Darling Harbour in Sydney from 10-12 March 2017 at International Convention Centre Darling Harbour. After a very successful year in 2016, The Expo surveyed an exponential growth in public attendance by 30%. What does this mean for us as a tattoo culture and as a tattooing society? A positive shift in social values in relation to art, body modification and expression of identity. The new venue at Sydney ICC on Darling Harbour will proudly boast over 315 tattoo artists from across the world tattooing live over the three-day celebration. This year the artists include: Arlo Dicristina, Benjamin Laukis, Leisure Bandit and Tatter Tats. Complimenting this will be our hand-picked retailers to stroll through the markets of merchandise and hand-crafted gifts. But we are not stopping there, the Expo Team have created an Entertainment Schedule that will have an audience watching girls falling from the sky in an aerial performance and leaving you hotter than before with a fire-breathing act by The Fuel Girls (UK). Netflix: ‘Bright’ Starring Will Smith and Joel Edgerton Arrives in December!